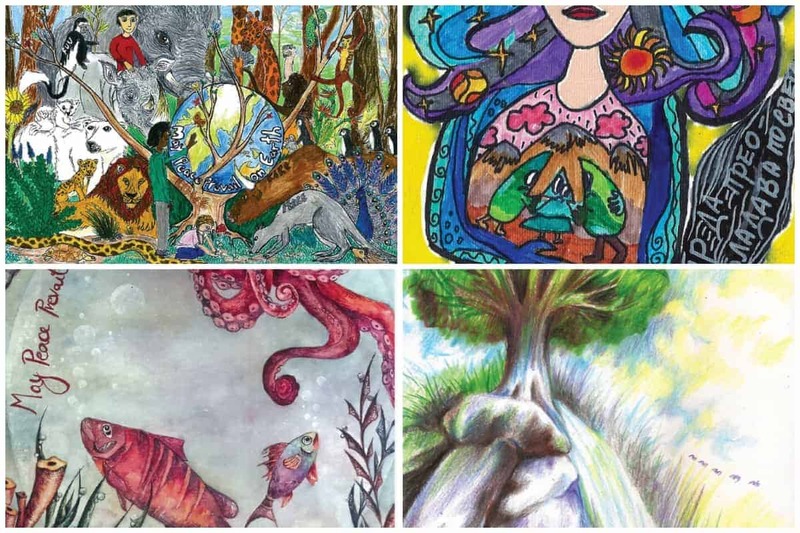 On the 20th anniversary of the Peace Pals Artworks Exhibition, CEC celebrated that #NatureForAll was chosen for the theme of the artworks and that 4000 entries arrived in this topic from 62 countries. Peace Pals International, IUCN Commission on Education and Communication and Divers Earth organised in partnership the Awards Ceremony with an exhibition of Art works. The ceremony night was about young people celebrating peace and celebrating the love of nature and took place in Geneva, Switzerland, on 21 November. Peace Pals International Art Exhibition and Awards started in 1997 by inviting children around the world between the ages of 5 through 16 to submit artwork in the spirit of the universal message of peace. This year the chosen theme of the exhibition was nature and IUCN Council attended the award ceremony that was co-supported by CEC. The jury this year was complemented by Mr Zhang Xinsheng, president of IUCN and Sean Southey and Katalin Czippán, the Chair and Deputy Chair of CEC. The artworks were evaluated in four categories, for age groups 5-7, 8-10, 11-13 and 14-16 years old. All of the finalist pieces are available online and the winners of first, second and third prizes in each categories. 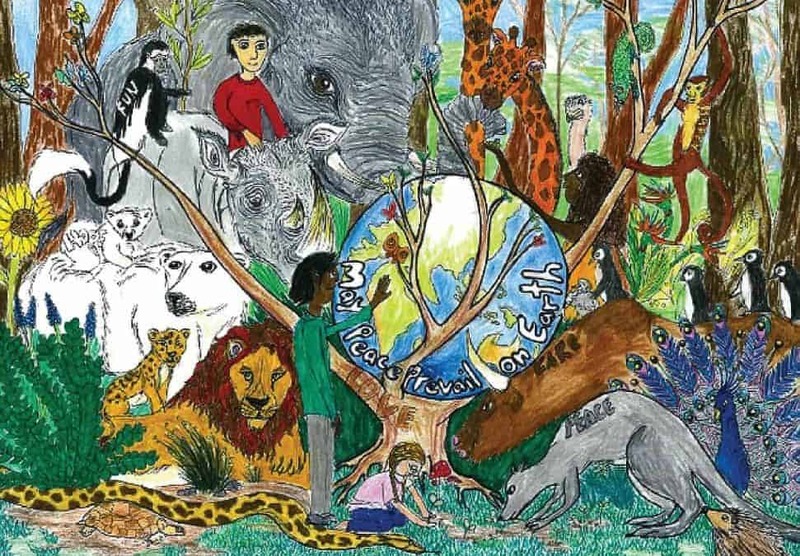 The colourful vision of nature visualized by children is remarkable, and the emotional and meaningful connection to plants, animals and people inspires even more adults and children. Creative techniques are used and the unique personality of the painter –regardless of age, gender or country of origin – is noticeable on each picture. It is wonderful how many ways children can imagine and depict harmony in nature, and how beautiful the diversity on Earth. One main theme unifies all the artworks: the shared love and compassion for nature and peace.